4th West Apartments – Canyons Structural, Inc. Description: Ultra high-end development with a wrap design concept, where a six story central parking structure is surrounded by living units. 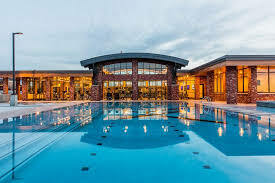 Location also offers a full-service bar/restaurant, sky lounge roof-top pool, yoga/spin studio, heated spa, sundeck with fire pits, tennis courts, catering and demonstration kitchen, Dog park, and business center on-site.